How Should Risk Management Change During Your Life? Mention risk management and asset allocation strategies to most people and their eyes will glaze over. Change the terms and begin talking about protecting retirement savings and suddenly you have captured the attention of everyone in the room. 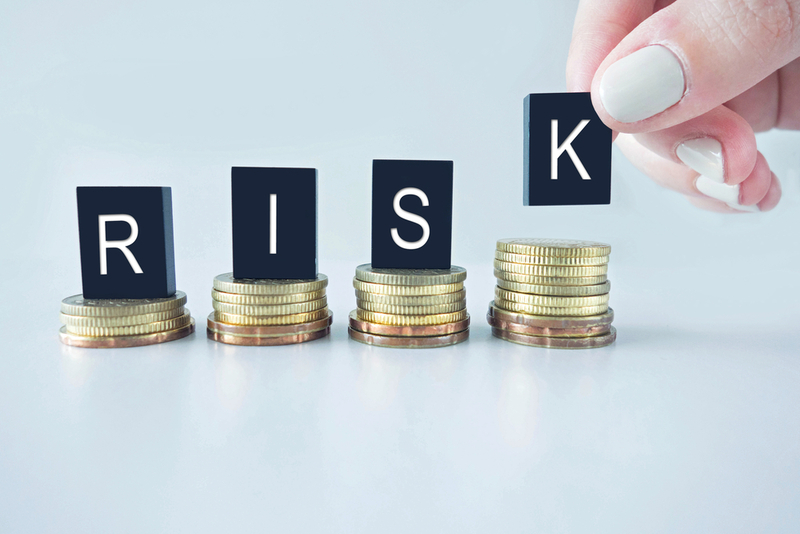 The truth is that risk management and asset allocation strategies are essentially developed to help grow savings quickly while also managing risk to ensure the funds are available when they are needed. To do this, risk management must change throughout life. Of course, every investor is unique and has his or her own goals, risk tolerance, and future plans. However, there are some general risk management rules that apply and should be considered. This is a quick overview of the life of a typical investor. Everyone reading this article has likely been at this point. You’ve got your first well-paying job and some money left over after all of the bills have been paid. Even though you are young and invincible, it’s important to start saving for retirement. While retirement seems like a distant concept, saving young can pay off big later in life. In fact, a young person who saves money can end up with a far greater amount at retirement than someone who starts saving later in life and contributes to their savings for three times as many years as the younger investor. Since retirement is so far away, young people who are saving for long-term goals can withstand the ups and downs of the markets without much concern. An aggressive investing strategy with higher risk often brings about bigger rewards. Investing while young allows those with an appetite for risk to take advantage of the time they have ahead of them. While these investors may be 10 or 15 years closer to retirement than when they began investing, they still have several years before retirement and do not need to become completely risk-averse. Investments should grow more quickly as their income continues to increase. Risk management and asset allocation strategies may call for a more balanced portfolio. Largely, these middle-aged investors are still looking for healthy gains to pad their retirement accounts. Even though retirement may still be years away, investors should begin retirement planning with an expert to begin setting goals and ensure that their savings will be able to meet those goals. At this point, investors are only a few years away from retiring. Risk management becomes a much greater concern as a prolonged recession or depression could delay retirement. To account for this, investments may be moved into more conservative portfolios. However, most investors do not want to completely forego any potential market gains. Risk management and asset allocation strategies usually require regular reviews at this point. As retirement gets closer and closer, risk tolerance will become less and less. Investors will look away from the volatile stocks and opt for more stable investments which typically offer smaller returns. Investors who are in the home stretch of their working years should definitely have a retirement planning advisor to help them plan and meet their goals. Contributions may be reviewed and adjusted to keep up with changing expectations. Congratulations! You have reached retirement and you’re now able to enjoy the hard work you have put in since you began saving years ago. Of course, investing doesn’t end once you enter retirement. For retirees, risk tolerance is often very low. Their investments are being used as income and that income is necessary for living expenses and other activities in retirement. However, retirees cannot simply keep their money in a mattress, either. With inflation, money that is not earning interest could actually be losing value by sitting idle. Investors have to balance a stable retirement income with sound investing strategies. Another wrinkle that gets added to the equation during retirement is investment withdrawal strategies. Not only do retirees have to ensure they have enough to live off of but they also have to consider tax planning to ensure that they are reducing their tax burden as much as possible while living on a fixed income. Simply saving and investing for the future are not enough to reach your goals. You need smart retirement planning combined with proper risk management and asset allocation strategies. Retirement planners consider your goals and wishes for retirement to help you develop an investing strategy that will get you to where you want to be. Professional retirement planning means that your hard work and dedicated saving will actually earn you the retirement you have always dreamed of. Mooney Lyons works with clients from all walks of life to help them prepare for retirement. This includes investing strategies as well as professional retirement planning. Don’t leave your retirement and your future to chance. You need experts working with you to ensure that your risk management is right for your stage of life. Mooney Lyons doesn’t just consider investments, either. We take a complete look at your financial situation to ensure you are ready for the future, no matter what that may bring. Contact us today for a professional look at your unique situation.